At Canopy Airport Parking®, we truly care about all of our customers and we strive to make the world a better place. We work with many local charities to help raise awareness and funds for research. This past October, in honor of Breast Cancer Awareness, Canopy™ had a huge push and promoted a coupon that offered our customers 15% off their purchase while donating 15% of the proceeds to the Susan G. Komen Foundation. Thanks to our loyal and new customers, we have raised over $4,000! Our team at Canopy™ wants to send a big thank you to all of our new and loyal customers who helped make this happen! Your generosity has helped support an amazing charity that has been at the helm of increasing breast cancer awareness and their efforts have directly impacted the lives of millions. The Susan G. Komen foundation was founded in 1982, and before this point there was very little knowledge or awareness of breast cancer. Since it was established, the organization has strived to promote the importance of routine checking/testing for breast cancer, as well as improving and expanding treatment options. Ever since Susan G. Komen launched their efforts, a movement to promote awareness and research has been ignited and the results have provided wider access to screenings and more advanced treatment options. Canopy™ understands the importance of this partnership with Susan G. Komen and we aim to foster a meaningful and long term relationship between our customers and this amazing organization. 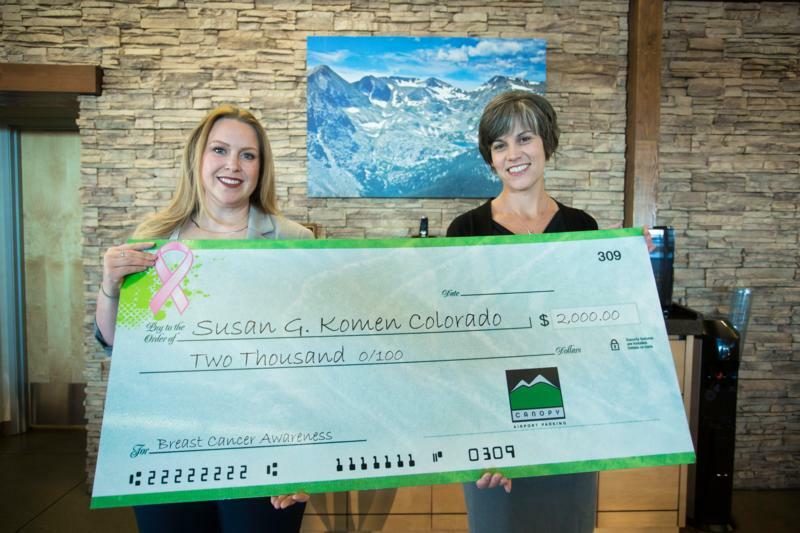 There are many ways to support the Susan G. Komen Foundation and we urge you to check it out! The Susan G. Komen Foundation knows that it takes time to make a real change. Knowing that it takes time, they have set an ambitious goal for themselves and have set out to reducing the number of breast cancer deaths by 50% in the year 2026. This may seem like an far fetched goal but with unlimited support and donations, anything is possible! It is important that every community member does their part in spreading awareness and support. This is not a task that can be accomplished by one organization alone. If you would like to get involved by volunteering, there are hundreds of events across the United States that need extra staff on hand. You can search for the next volunteer opportunity in your neighborhood on their website. Additionally, there are opportunities to be an advocate of legislative change that will support breast cancer research and prevention. To stay up-to-date about advocacy actions you can support, sign up here. Thank you again for helping us contribute to this worthwhile cause! We hope to see you and your car back again for another visit. Call or visit our website to check out other charities we support and all of our other exciting promotions!